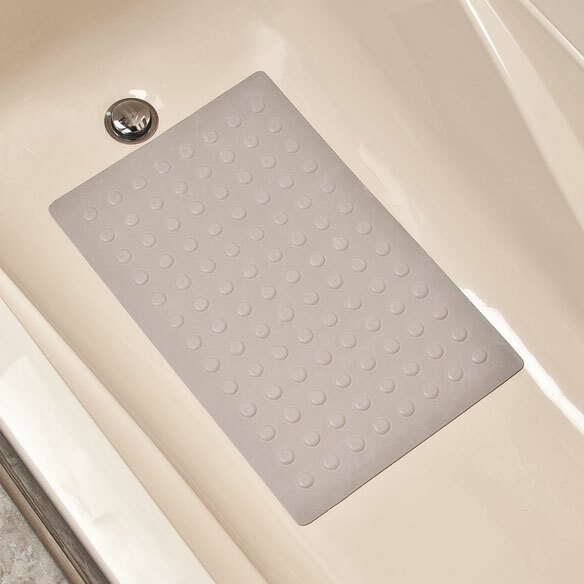 Put a stop to dangerous slips and unsightly tub grime. Rubber safety mat with Microban adds comfort and stability to your step. Built-in Microban antimicrobial protection inhibits the growth of mold and mildew that can cause stains and odors. 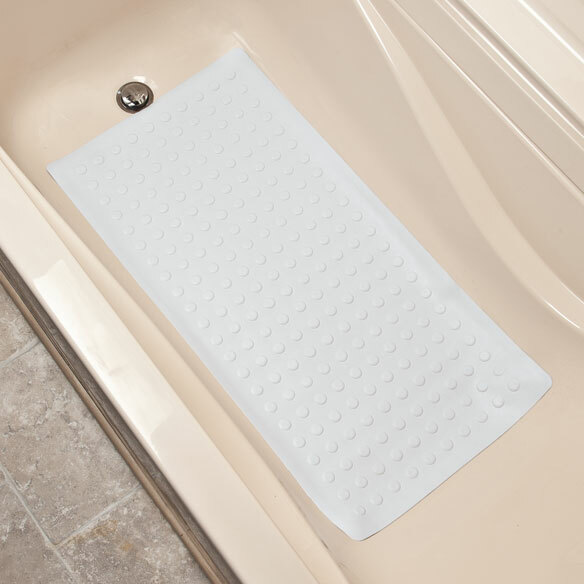 Non-slip bath mat is available in 2 sizes perfect for any tub or shower stall. Massaging nodules soothe tired feet. Suction-cup design secures mat in place. Choose from white or almond. Shower mat is machine washable. Select Size 14" x 22" 18" x 36"
I ordered a large one for my tub and a smaller one for my husband's shower. My husband has a neurological disease and has trouble getting in and out of the shower. This is just another safety device that keeps him from slipping in the shower. It was a hard to find item. Daughters bathtub, so grandkids can take bathes without falling! I am disabled and fall a lot. I need a new one and I like the price. I need a new mat in my shower. Husband says tub too slippery once he uses soap on his feet, so decided to take up the stick-on designs and replace with this for him. I picked it for safety in the shower. I've had both knees replaced I hope this will help in kneeing in the tub. My dad is elderly and my sister has Parkinson so I want to make sure they don't slip in the shower. The safety of having a good mat plus the benefits of the Microban and mildew qualities. will this stick to tubs with rough texture bottom. 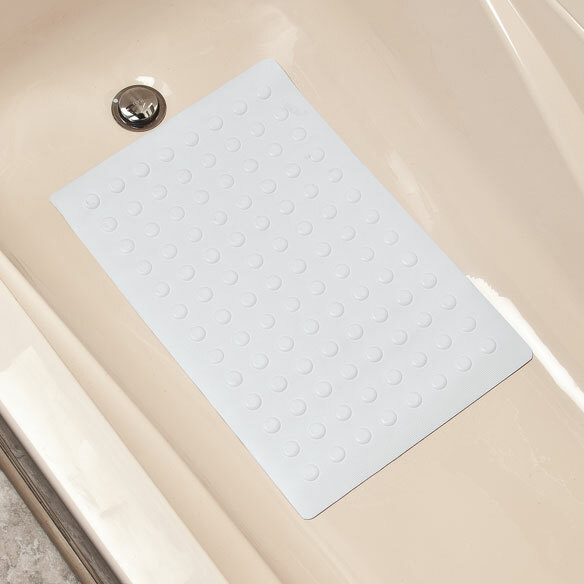 I have not been able to find a tub matt the wont slip? BEST ANSWER: Thank you for your question. 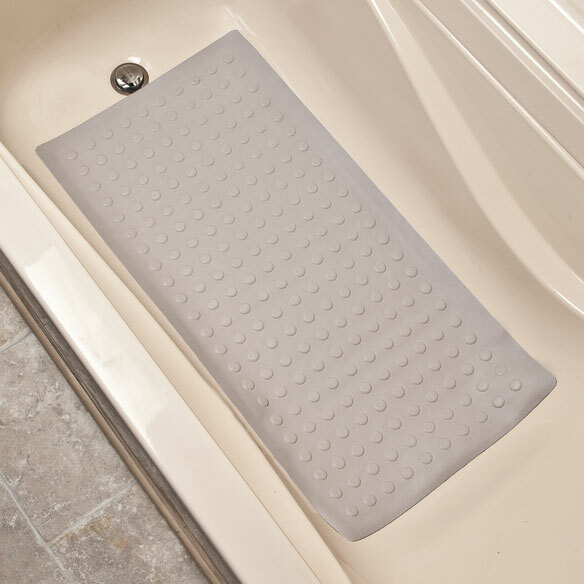 This mat is not made for textured tubs. We hope this information will be of help to you. can it be hung to dry? BEST ANSWER: Sure I don't see why not. My tub dosn't have a shower rod so when the tub is empty I just lift it up to drain.